There is a quiet epidemic raging in the United States: chronic kidney disease. It involves approximately 1 in every 7 adults. Unfortunately, only 10% of affected individuals are aware of their diagnosis. Are you one of them? Chronic kidney disease is defined by either abnormal kidney function or structure that has been ongoing for a period of at least 3 months. Data put forth by various organizations, including the Centers for Disease Control, suggest chronic kidney disease is a widespread, growing problem in the United States that involves 14% of the population. 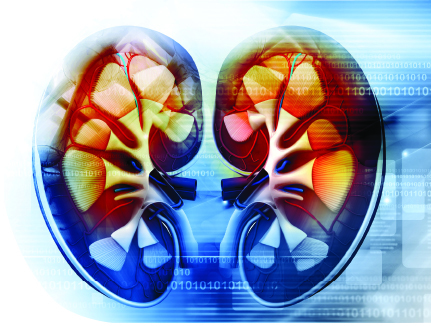 The problem of kidney disease is under-recognized by both patients and physicians alike. There are several likely reasons for this including the absence of symptoms in individuals who have mild to moderate kidney disease: conflicting screening guidelines from various organizations including the United States Preventative Task Force, the American College of Physicians and the National Kidney Foundation, decreased public awareness, and inadequate screening of patients with high risk features. In fact, one study suggests that only 38% of patients with diabetes—one of the two most common causes of chronic kidney disease in the United States—underwent appropriate kidney disease screening by their primary care physician. Knowing one’s diagnosis of kidney disease can have a positive impact on delaying disease progression. For instance, adequate blood pressure (goal BP < 130/80 mmHg) and blood sugar (goal HbA1c <7%) control are known to slow disease progression. There are certain blood pressure medications that patients with chronic kidney disease should be prescribed as they have been clinically proven to slow disease progression. Certain behavioral changes may be beneficial with regards to slowing kidney disease such as smoking cessation, weight loss, and exercise. In addition, knowledge of having chronic kidney disease allows patients to avoid potentially harmful substances which can worsen their disease. Examples of harmful substances include non-steroidal anti-inflammatory drugs such as naproxen, ibuprofen, high dose aspirin and iodinated intravenous contrast which is given during certain heart studies and CAT scans. Screening for chronic kidney disease involves a simple blood and urine test. Current guidelines suggest patients who have risk factors for chronic kidney disease should undergo screening. If you have one or more risk factors, please speak with your primary care physician and request to be screened. Remember: Most patients with chronic kidney disease have no symptoms. By the time symptoms of kidney disease develop, the disease is usually advanced, and you and your doctor may have missed opportunities to slow the progression and extend the life of your kidneys. Knowledge of your diagnosis of chronic kidney disease empowers you to make healthy lifestyle changes now and ensure causes such as diabetes and high blood pressure are under excellent control so that you get the maximum life of your kidneys. Don’t become another statistic! 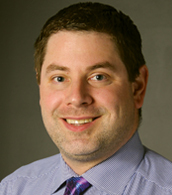 Dr. Bydash sees patients in Eau Claire, Cumberland and Rice Lake.